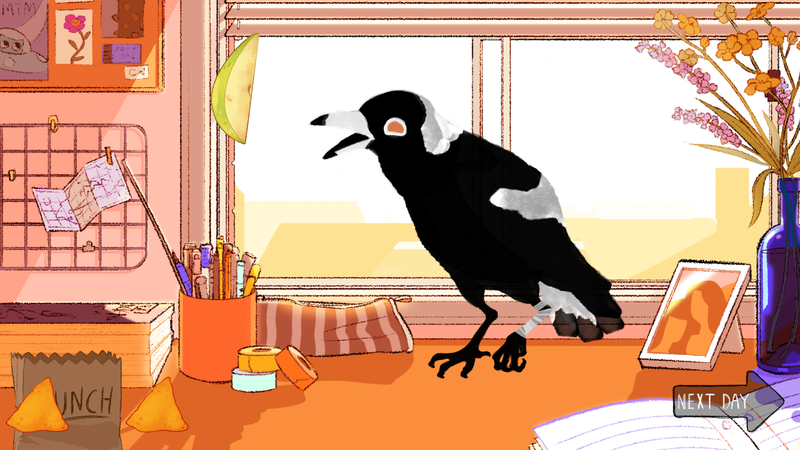 You meet an injured magpie, and smuggle it home to nurse it back to health. You don't know much about wildlife care, but there's nothing some healthy food and lots of love can't fix, right? After all, your new friend seems to feel right at home in your room. 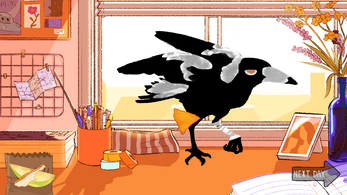 Disclaimer: this is not a bird dating sim.